I recently just moved to a new house, and I was looking for a suitable water filter for our new place. 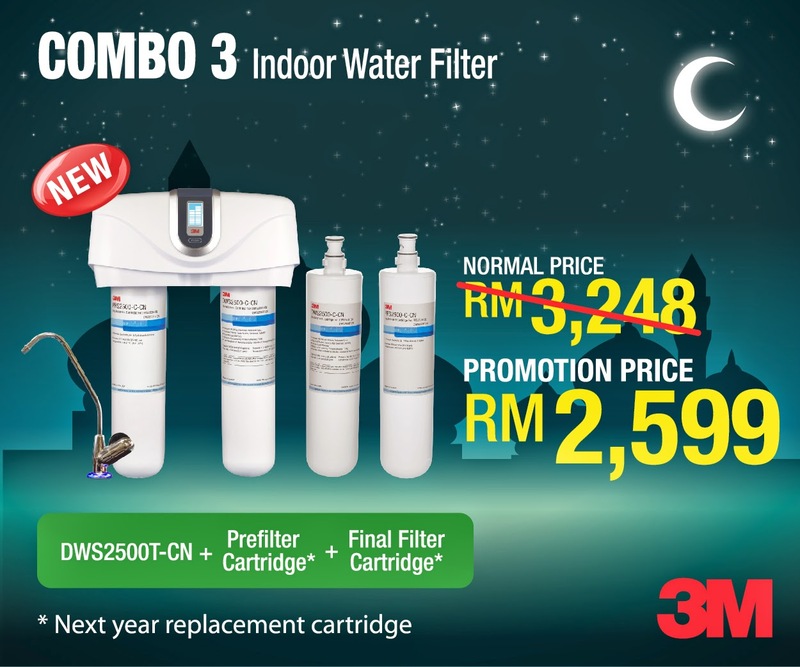 It was at the perfect timing that 3M Malaysia contacted me to do a water filter review end of last year. To tell the truth, I was ecstatic because I am such a big fan of 3M brand. Who has never heard of the 3M brand? They are famous for their Post-It Notes (at least to me! ), and now provides a large varieties of products from different range. 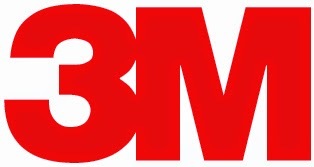 3M is a Global, Diversified Technology Company. 3M captures the spark of new ideas and transforms them into thousands of ingenious products. Their culture of creative collaboration inspires a never-ending stream of powerful technologies that make life better. 3M is the innovation company that never stops inventing. With USD$30 billion in sales (2013), 3M employs about 88,000 people worldwide and has operations in more than 70 countries. 3M Purification Inc is a Market Leading Filtration Company. In 2005, 3M acquired CUNO to be 3M Purification Inc. CUNO has over 50 years of experiences in filtration technology. operates manufacturing facilities and sales offices throughout the world. NSF International is an independent lab that ensures all drinking water systems are tested and certified to meet strict public health and safety standards. The 3M's Smart Drinking Water System DWS2500T-CN is certified by NSF International, NSF/ANSI Standard 42 and 53. 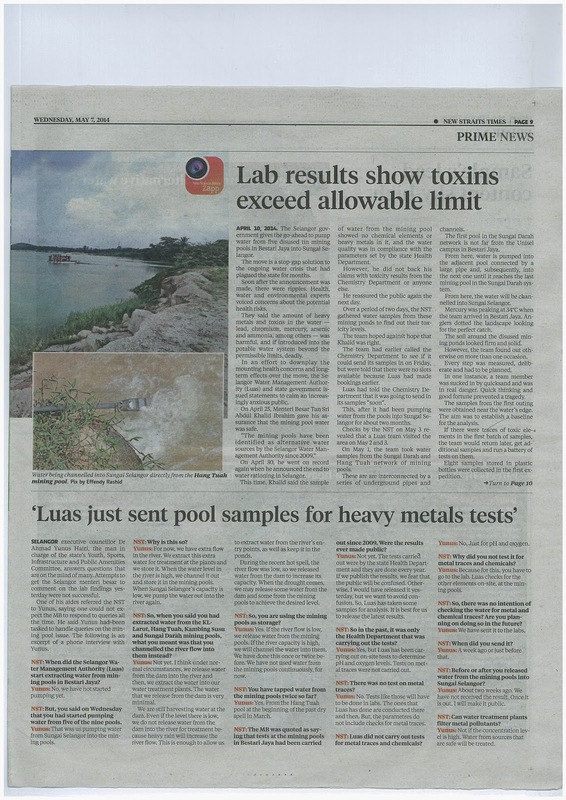 Standard 42 certified that the water filter is designed to reduce taste and odour, chlorine, nominal particulate and chloramine which increased lead level in bloodstream as well as causing respiratory problem such as asthma. Standard 53: certified that it reduces specific health-related contaminants such as lead, pesticides and cysts which cause diarrhea, nausea and low grade fever as well as being potentially fatal. 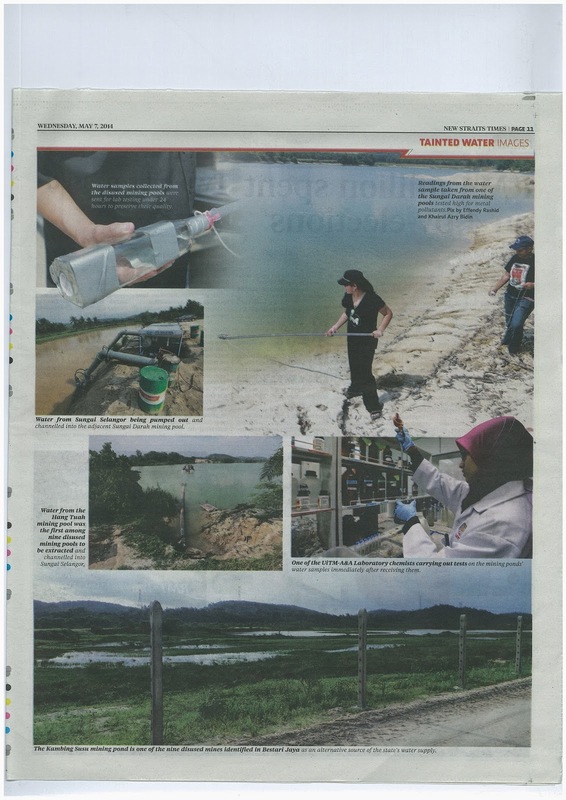 And recently, water is such a hot topic in Malaysia, especially with the low rainfall and water rationing and even flood happening in Malaysia. And I believe clean water is very important to every family. 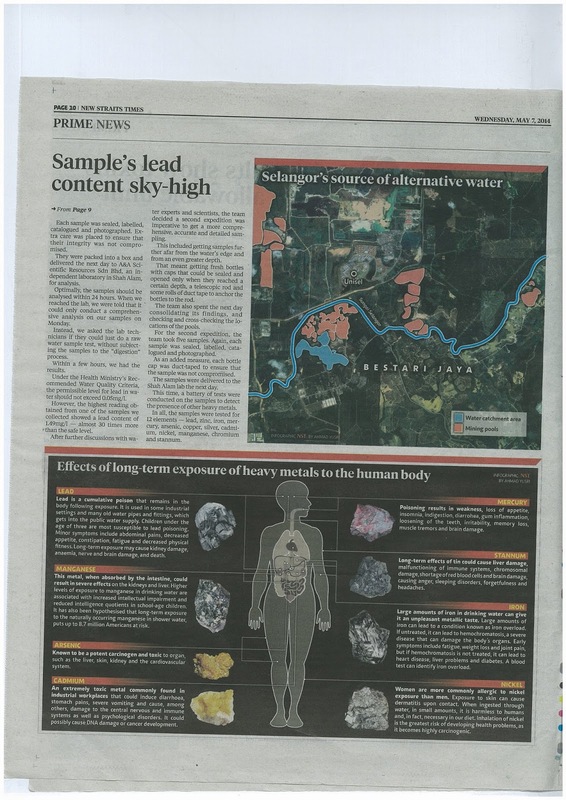 Take a read at the most recently print in New Staits Times newspaper on 7 May 2014. I currently use many of their products, such as their Post-It Notes, Scotch Tapes, Scotch-Brite Scouring Pads, Scotch Scissors and a few others, and I've been super pleased with all of them. I am a very satisfied repeated customers of the 3M products I'm using. It's a brand that I trust in! So you can sense my excitement when I know that I got to review their water filters. And not one, but two water filters, but I am going to talk about their indoor water filter first. And guess what? 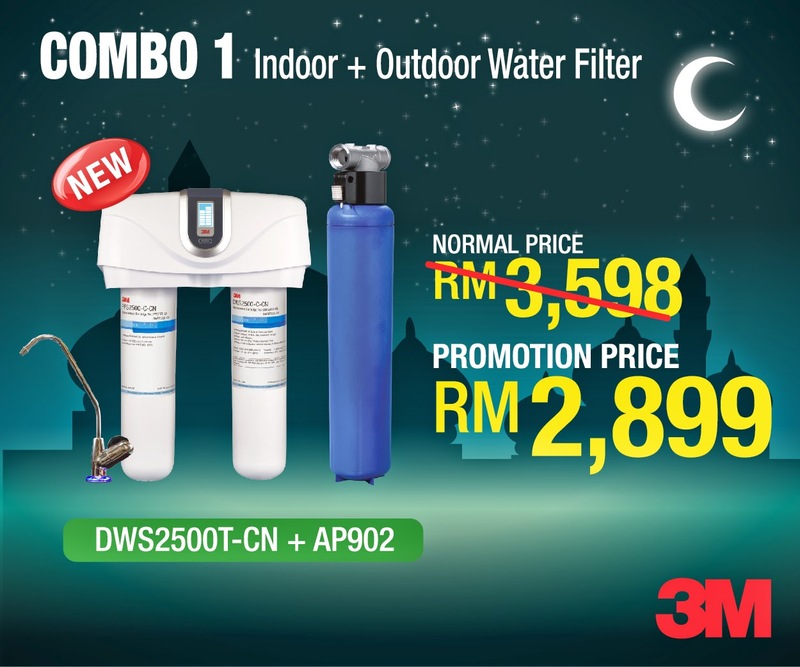 DWS2500T-CN is the latest model this year in Malaysia and I will be the first person who owns this 3M's Smart Drinking Water System! I am really, really honoured! They sent a man to install the water filter. 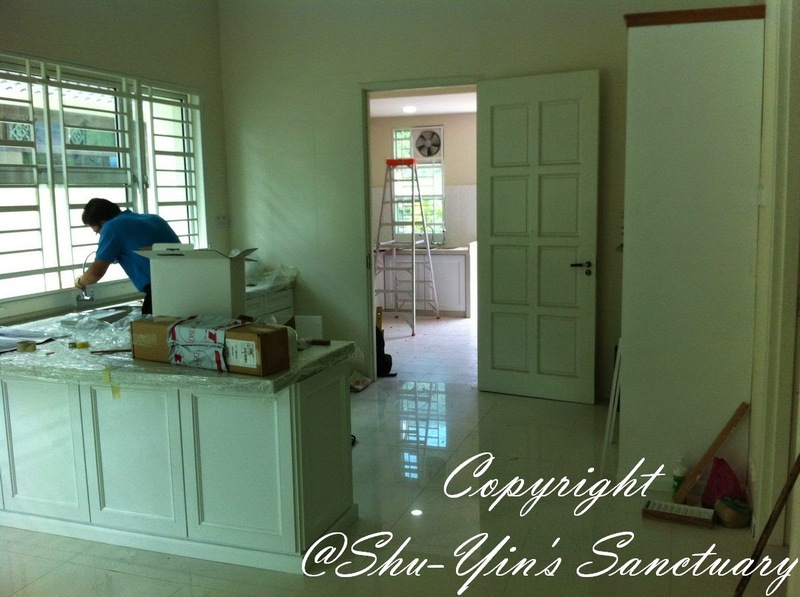 He took quite a long time to do so, spending almost 2 hours in my house installing the whole system in my dry kitchen. But I must say that the installer did a good job, as his work was neat and very little mess. Just a small hole drilled on the kitchen top to link the pipe from the tap to below the sink. 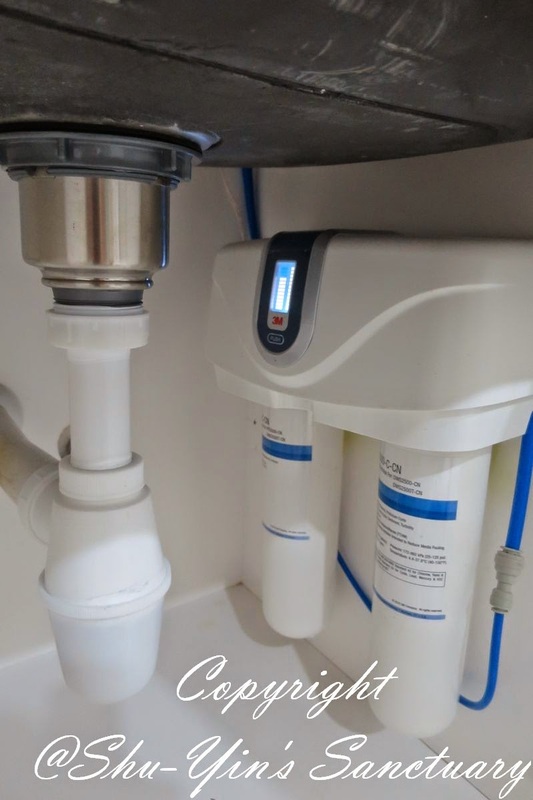 After installation, the water filter looks great. This new Model DWS2500T-CN has below capacities and flow rate. DWS2500T-CN Smart Drinking Water System is 3M's latest innovation product, with 3M's patented IMPACT technology. The first stage is the pre-filtration process is with premium pleated polypropylene membrane to reduce undesirable dirt, rust, particles and turbidity that may not be visible to the eye. The IMPACT Technology is in the second stage of fine filtration which is the revolutionary IMPACT media with superior filtration capabilities. The “IMPACT” media package combines a patented pharmaceutical-grade two-zone microporous membrane having built-in advance anti bacteria system, that reduces Cryptosporidium and Giardia cysts and more than 99.99% of all water-borne bacteria. More than 99.99% of E.coli bacteria are reduced by the nylon pharmaceutical grade membrane. It also has a pre-activated carbon block that removes chemical or chlorine in water. With finer mesh or particle size, the total surface area is greater and more contact takes place between the water and carbon, providing better contaminant removal efficiency. Approximately five grams of 3M carbon can achieve the effective surface area of a football field. I like the fact that it has a dedicated faucet for the filtered drinking water. 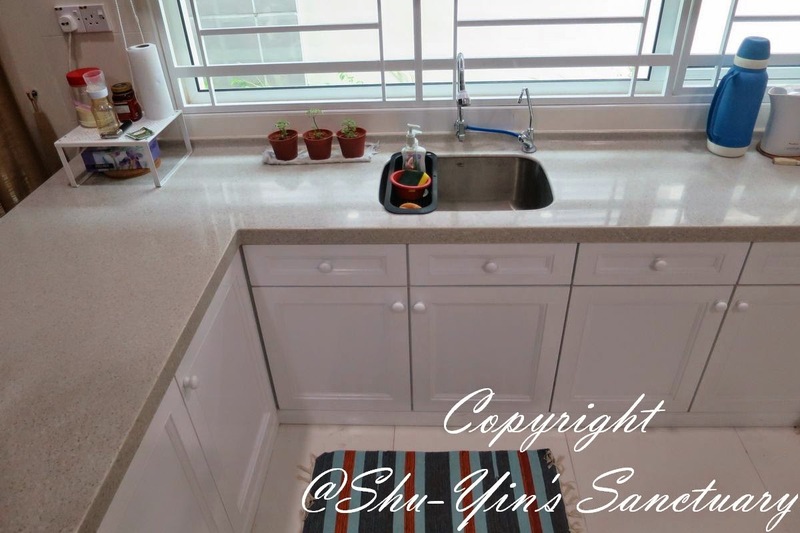 And also the faucet looks slim, and shiny and elegant, and make my kitchen top looks elegant. 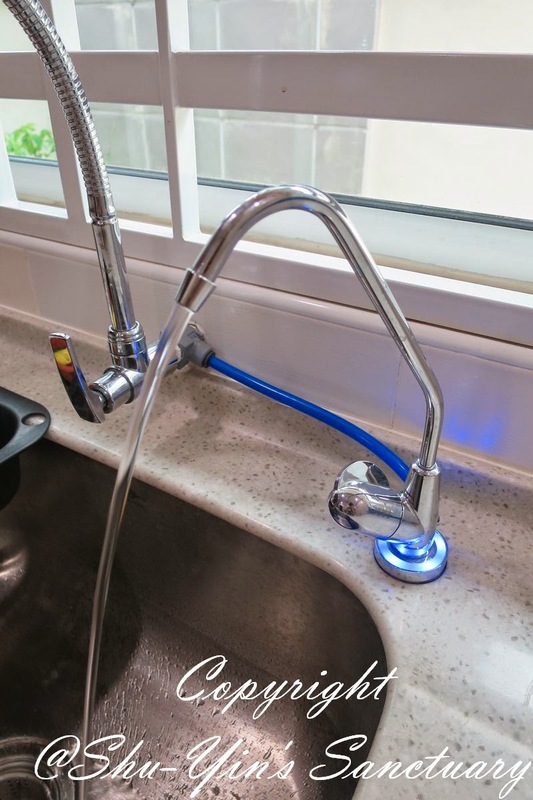 When the faucet is being turned on, the base of the faucet has a LED light indicator, to show that it is in good working condition if the LED light is in blue. And when the LED light turns red, it means that it is time to change the filter. You can view a short clip of how the dedicated faucet with the LED light works. Yes, 3M's smart drinking water system is an undersink water filter. It made my kitchen top looks neat, and saves precious kitchen top space! 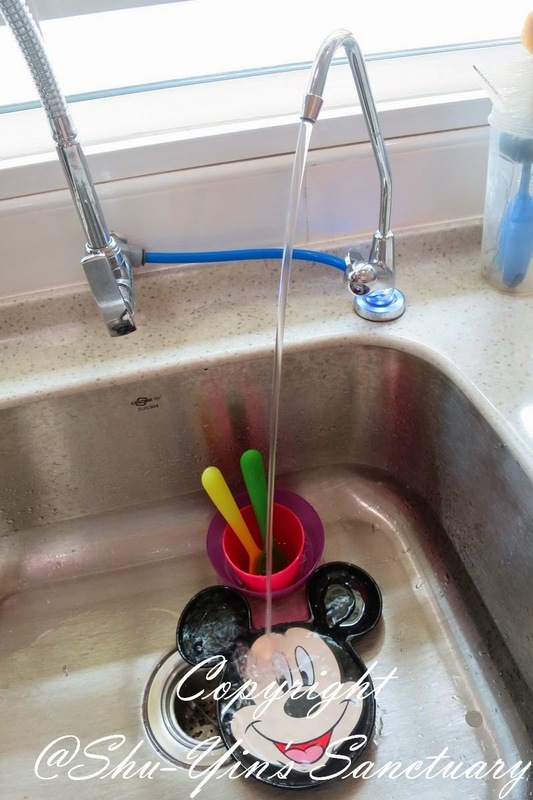 This was how my old water filter looks like, which was just a very basic filter, but yet on top of sink and took up precious kitchen top space. 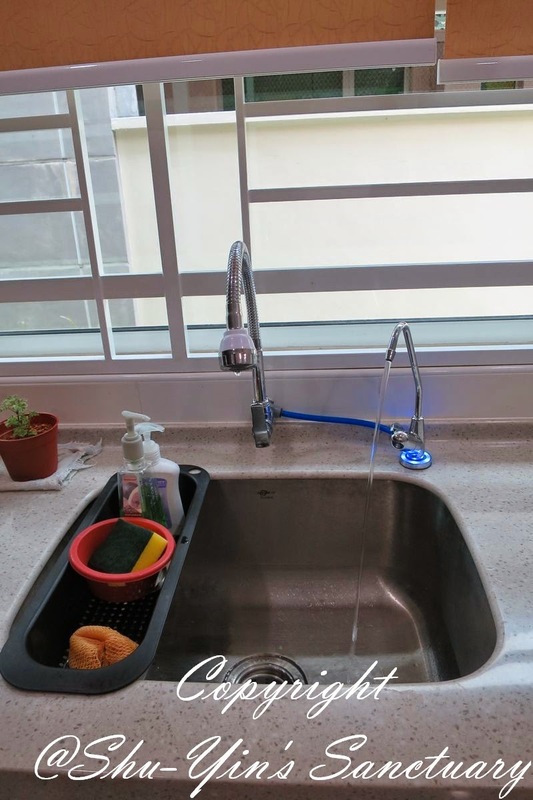 Now, this 3M's Water Drinking System is a modern and compact design that looks good yet never take up your kitchen space, as the whole bulk of the cartridges is under the kitchen sink! 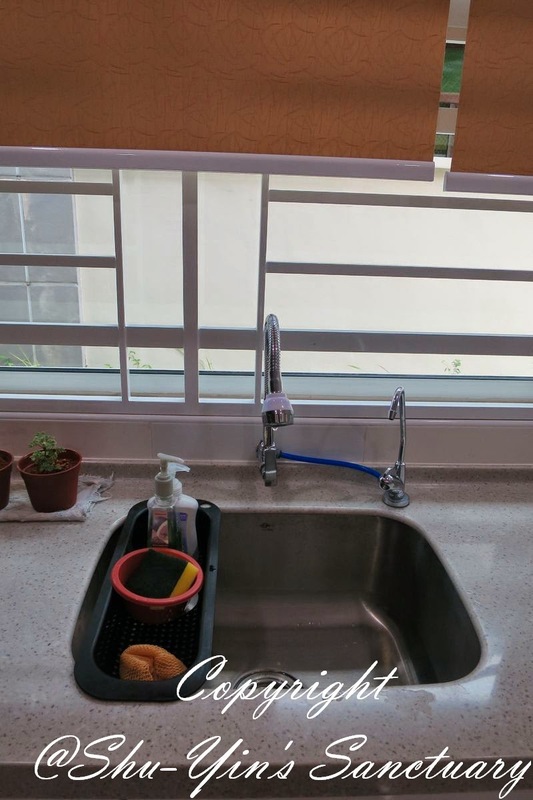 So with this 3M's Smart Drinking Water System, I have a clean and neat (and elegant) kitchen space! There is also a Smart Monitoring System to Indicate Cartridge Life. Equipped with intelligent tracking devices, 3M Smart Drinking Water Systems monitor your usage and provide both visual and audio alarm for cartridge change. The left hand side bar has a total of 12 bars (one bar for each month of usage). Once finished used up 12 bars, it is a reminder to me that I have used it for a year and I would need to reset it back to a full 12 mths by opening up the battery and press F1 to reset. For the right hand side bar, it also has a total of 12 bars (one bar for 62.5 gallon of water). The total of 12 bars means a total of 750 gallon of water. This is the recommended water capacity that consumers can use and still in good quality condition as per NSF requirement. With an effortless twist, you can easily change cartridges in less than 10 seconds. Take a look at the short clips on how I did the Sanitary Quick Change all by myself. Part 1: Unscrewing/Removing the cartridge. Part 2: Screwing/Installing the new cartridge back into the system. Even a noob lady like me can change them, no problem. On how frequent we need to change the cartridges. Well, there are 2 cartridges in the water system underneath the sink. The right cartridge (Final Filter cartridge) is recommended to change every one year. The left cartridge on the other hand, only need to change it whenever the water flow has stopped (which means the dirt has been accumulated and blocked in the filter system). This is good because I hate having those water filter companies calling us up every 3 months to change the cartridges (this is what happen to our old water filter system). I dislike having strangers into my house, especially when I am alone. So with this, I can minimize letting strangers into my house so often. And also it made me feel more independent and I like that feeling that I can do it myself! 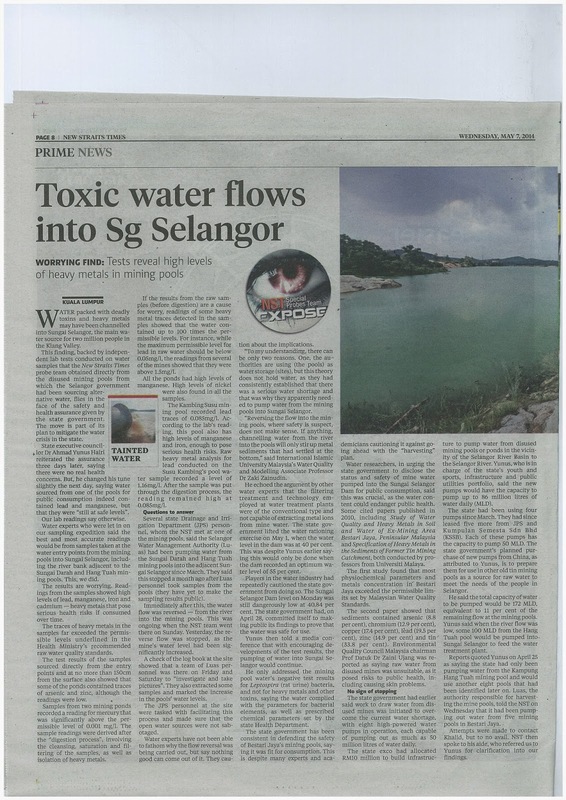 Recently, there are many complains about the water quality in Malaysia. There are harmful enemy of human health found in water, such as E-Coli Bacteria and unwanted chemicals. For DWS2500T-CN, it foes not remove water minerals and important minerals that our body needs. However, it does remove chlorine (unlike the outdoor filter, which I will talk more in a separate post) because it is for drinking. At last, I feel safe to drink water directly from the dedicated faucet! 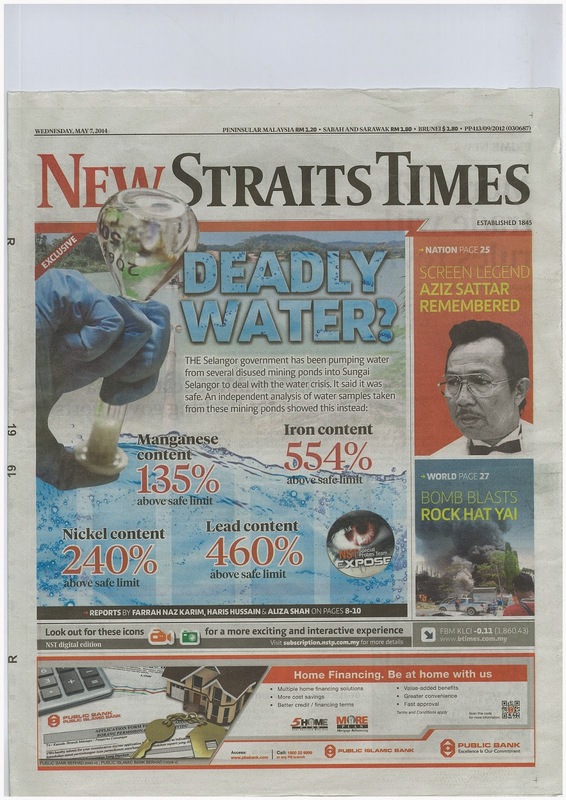 Before this, my family and I would only drink boiled water, and never directly from the tap (although they say Malaysia water is supposedly safe enough for consumption). Even with our old water filter of another brand, we would still boil it first before drinking! Here is a short clip on me feeling safe enough to drink directly from the dedicated faucet. And let me tell you this, it saves me so much time not having to boil drinking water again, except when we need hot drinks! And I kept away our big old Tupperware, which we used to store our boiled water, and thus saving more kitchen top space! Now, we just turn on the dedicated faucet, and out came pouring abundantly our drinking water! Bliss! 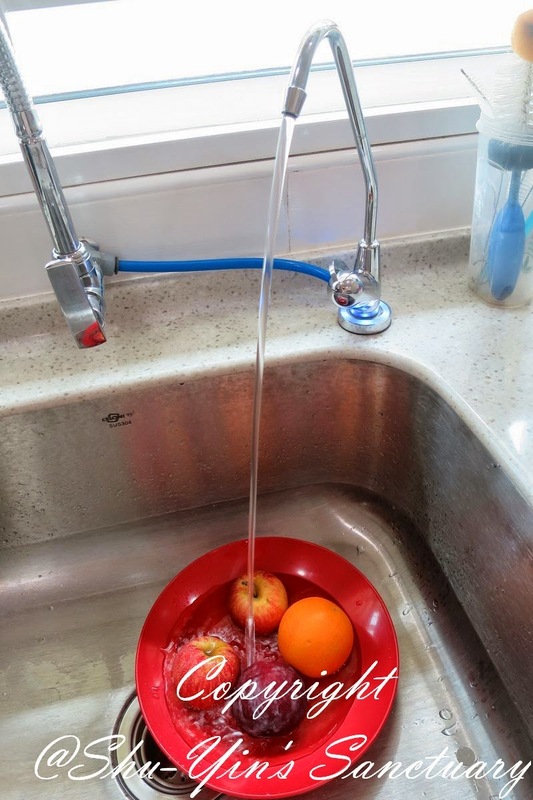 And besides drinking directly from the dedicated faucet, I also used the filtered water to wash our fruits and vegetables and such. And I also washed baby's utensils and bottles using this filtered water. I feel that it is much safer as baby's body is more sensitive to dirt. It is basically such a luxury to be able to use clean, filtered water to wash important stuff. 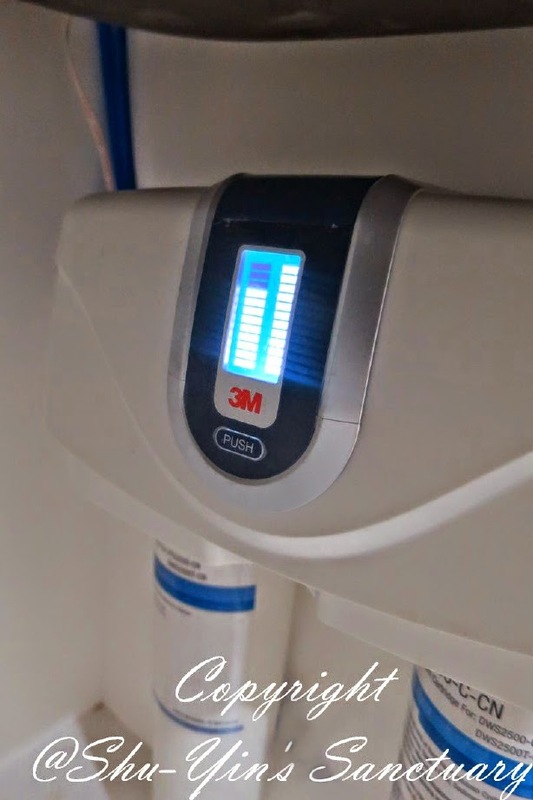 Overall, I love my 3M's Smart Drinking Water System (DWS2500T-CN) with it's modern, compact design that looks good and with great visual and audio indicator. 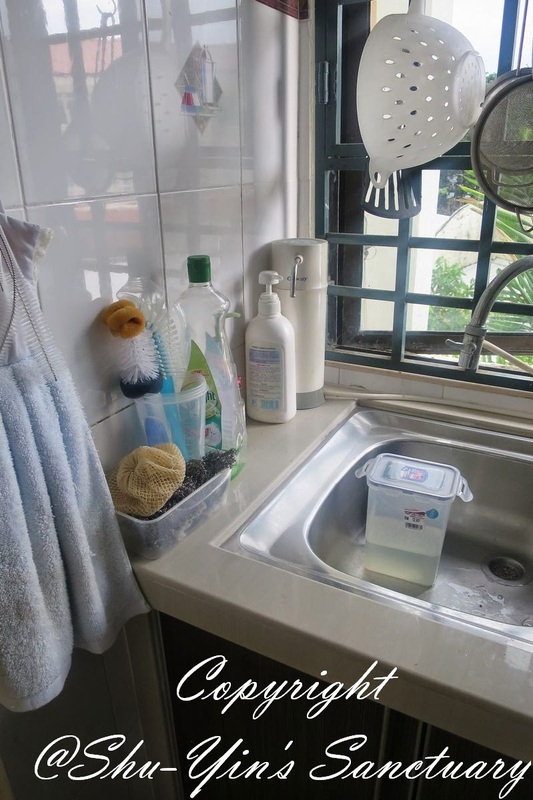 And most importantly, this Smart Drinking Water System reduces not only unwanted contaminants such as sediment, turbidity, chlorine, taste and odor that may be present in your tap water. But it can also effectively reduce harmful contaminants, such as lead, mercury, volatile organic chemicals, protozoan cysts and bacteria that may enter your water stream from piping and other sources. 3M Smart Drinking Water Systems reduce up to 99.99% of undesirable and harmful contaminants, bringing to me and my family cleaner, clearer, better tasting drinking water! Please PRINT THE BELOW VOUCHER (with the Cash Voucher Code SYN01 stated in it) and bring it with you when you purchase 3M Water Filters from their participating distributors to get instant rebate. It is valid from now until 1st November 2015! 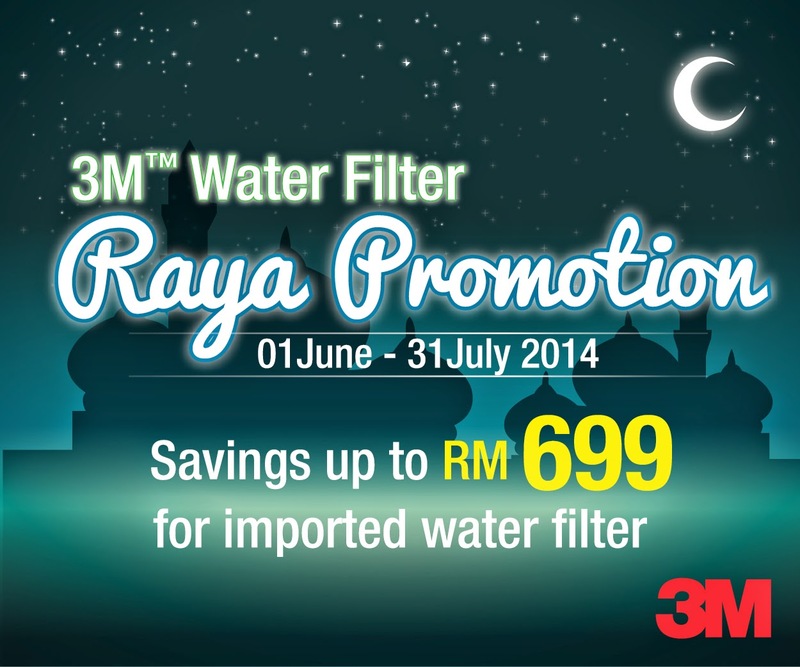 There will be a Raya Promotion starting 1 June - 31 July 2014, with savings up to RM699! 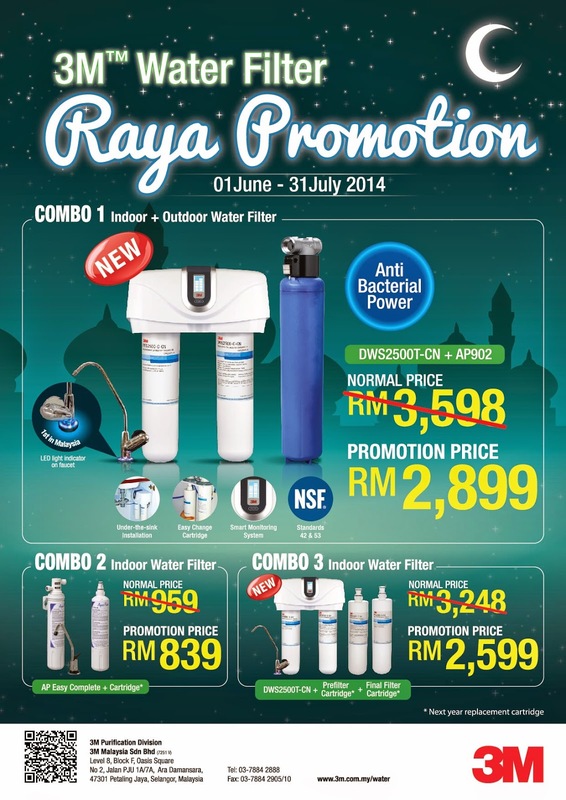 For new house owners who need both an indoor and outdoor water filtration system. § The DWS2500T-CN is an advanced drinking water filtration system with anti-bacterial technology that also removes harmful chemicals. Built-in with Smart Technology. 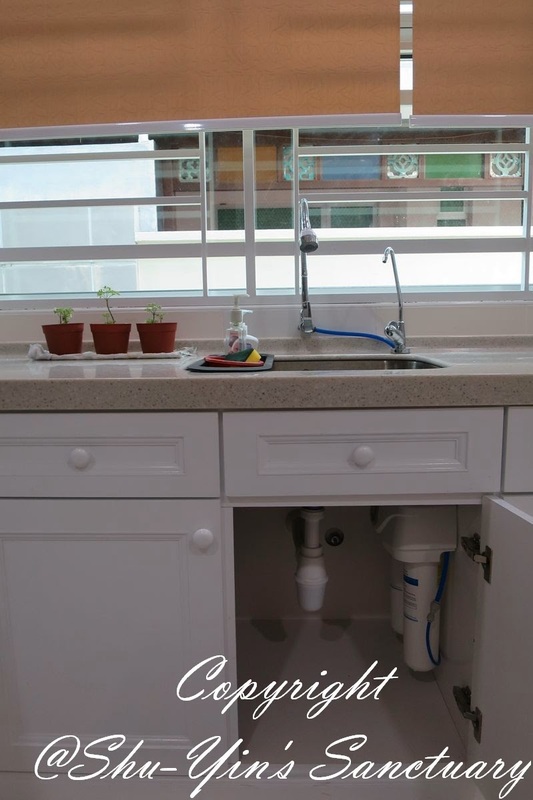 1st in Malaysia to have LED light indicator on faucet. § The AP902 is a compact outdoor filter that is efficient in removing sediment & sand. 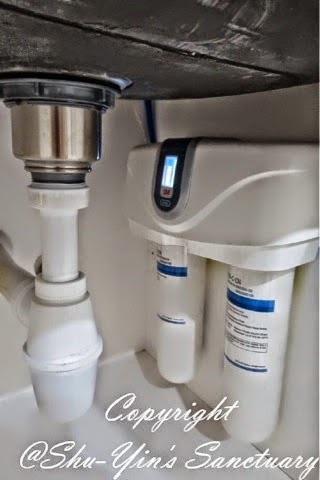 For house owners who need a basic drinking water filtration system that comes with an additional cartridge. § The AP Easy Complete is a drinking water filtration system that removes parasites, cysts and harmful chemicals such as mercury & chlorine. 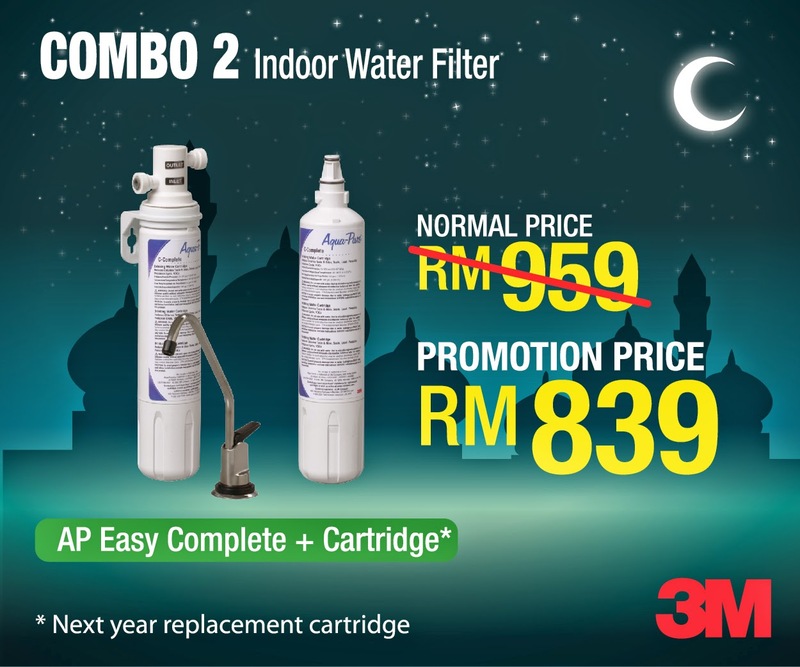 For house owners who need an advanced drinking water filtration system plus a set of additional cartridges. § The DWS2500T-CN is an advanced drinking water filtration system with anti-bacterial technology that also removes harmful chemicals. Built-in with Smart Technology. 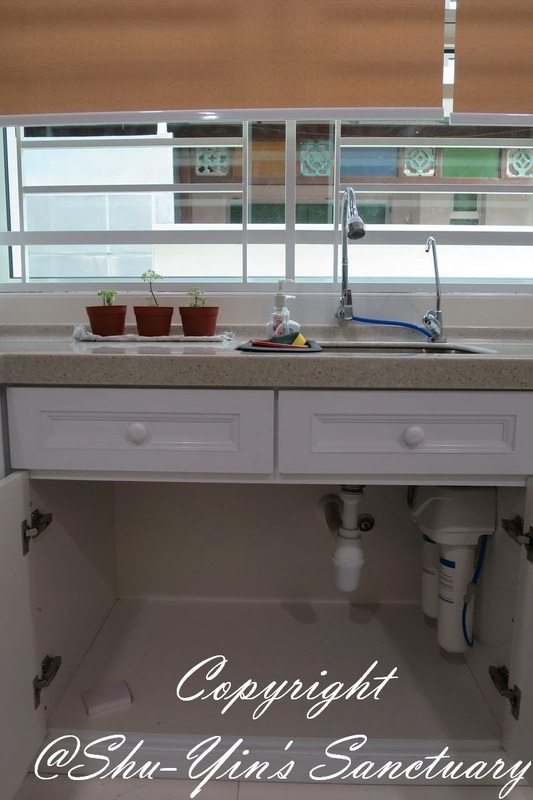 1st in Malaysia to have LED light indicator on faucet. Unit No.E3-8, 3rd Floor, Block E, Plaza Tanjung Aru, Jalan Mat Salleh, Kota Kinabalu, Sabah, Malaysia. IR9, Block D, Lot C, Pertama Industrial Estate, Off Jalan Arsat, 87008 Labuan FT.
3rd Floor, lot 2762, Block 10 Bormill Estate, Jalan Tun Ahmad Zaidi Adruce, 93150 Kuching, Sarawak, Malaysia. So wait no more. Hurry up and get yours now! For more info, you can also visit 3M Malaysia Website. 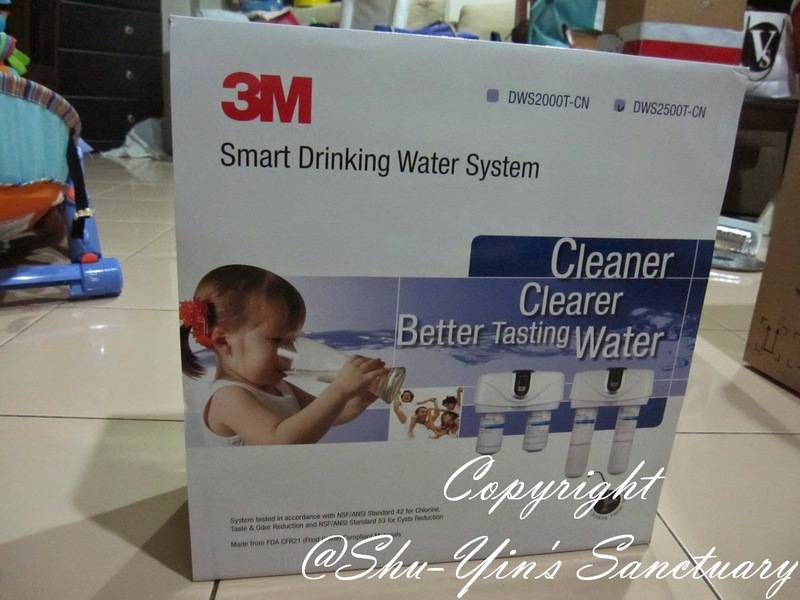 * Disclosure: I received 3M's Smart Drinking Water System (DWS2500T-CN) for review purpose, but no monetary incentive was received. All text and opinions are of my own and represents my honest opinion of the product(s). For mine, it was FOC as I was contacted by 3M to do review so they sent the items to my house directly and asked the installer person to come to my hse. I saw Kitchentech/BHB in Anson Road have this. I bought many electrical items from them and service is good too. Maybe u can try there? Hi Shu-Yin! After a few years of using the 3M filters, what is your comment and will you still recommend it? For your case, how often will you need to change the left cartridge? I saw online that the cartridges are quite expensive so I want to know how long can the cartridge last. Thank you. I am still using the water filter as I am still loving it. As of now, I've changed the indoor filter twice. I usually wait until the indicator of the water level usage is down to zero before I change them, which is about 1 1/2 yrs or slightly for my family of 5 usage. (The other indicator is the time which is set to 1 yr).